Spitzer detected the signatures of vaporized and melted rock, in addition to rubble, all flung out from the giant impact. 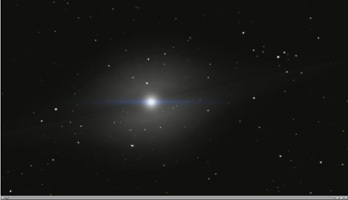 The animation begins by showing the intact moon-sized body charging toward the larger orb. Evidence from Spitzer shows that these two bodies must have been traveling at a velocity relative to each other of at least 10 kilometers per second (about 22,400 miles per hour). Time has been speed up in this artist's depiction. As the bodies slam into each other, a huge flash of light is emitted. Rocky surfaces are vaporized and melted, and hot matter is sprayed everywhere. Spitzer detected the vaporized rock in the form of silicon monoxide gas, and the melted rock as a glassy substance called obsidian. On Earth, silica can be found around volcanoes in black glassy rocks called obsidian, and around meteor craters in small rocks called tektites. Shock waves from the collision can be seen traveling through the planet, throwing rocky rubble into space. Spitzer also detected the signatures of this rubble. The final result is a skinned planet, stripped of its outer layers. The core of the smaller body and most of its surface have been absorbed by the larger one. This merging of rocky bodies is how planets like Earth are thought to form. Astronomers say a similar type of event stripped Mercury of its crust early on in the formation of our solar system, flinging the removed material away from Mercury, out into space and into the sun. 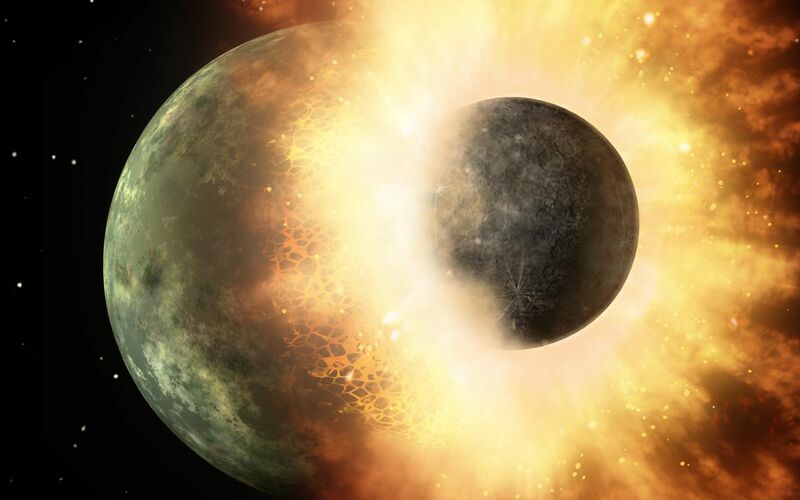 Our moon was also formed by this type of high-speed impact: a body the size of Mars is thought to have slammed into a young Earth about 30 to 100 million years after the sun formed (the sun is now 4.5 billion years old). 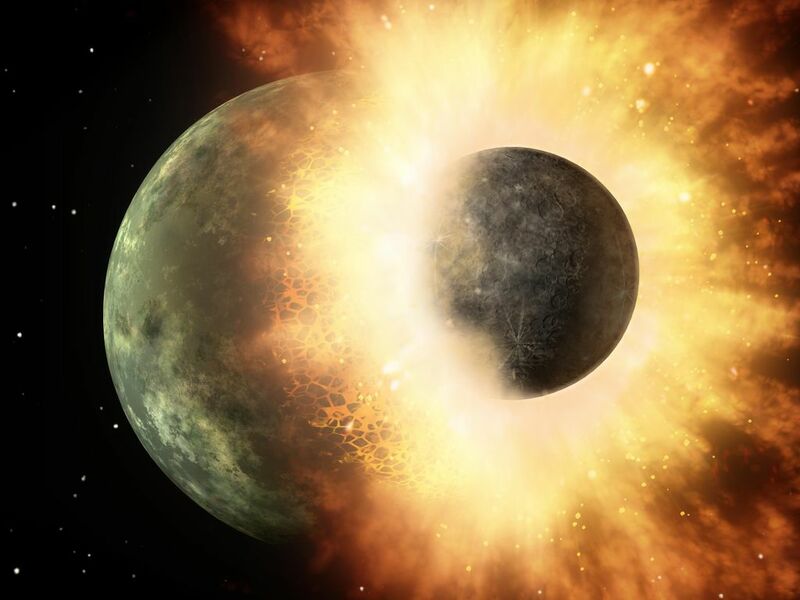 According to this theory, the resulting molten rock, vapor and shattered debris mixed with debris from Earth to form a ring around our planet. Over time, this debris coalesced to make the moon.